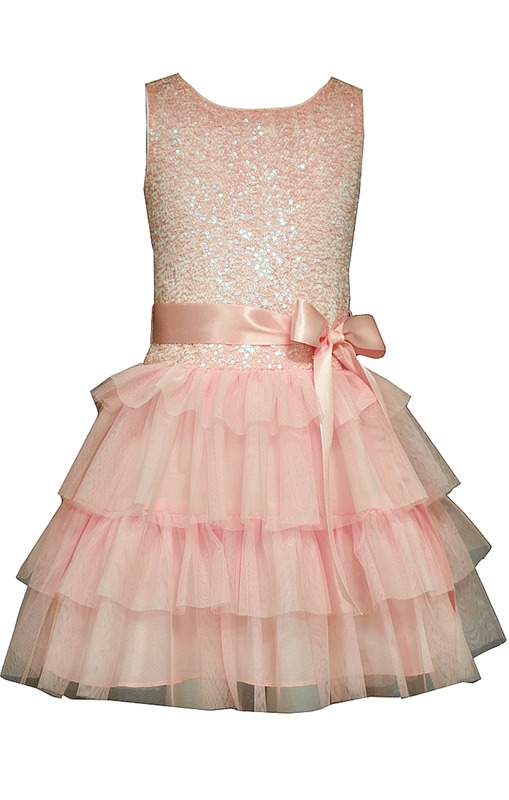 Beautiful girls pink sequined bodice party dress with tiers and satin sash. Perfect for birthday parties or special occasions. Lined. Back zip.